Sleeping with the enemy has never been so complicated. Twenty-eight-year-old Brooklyn Campbell is having a bad day. A speeding ticket, a towed car, and a broken heel are all working against her laid-back vibe. To top it all off, her birth mother, whom she's never met, has requested contact. The only bright spot is an impromptu date with a beautiful and mysterious brunette. Jessica Lennox is what you would call a high-powered executive. She's the head of a multimillion-dollar advertising firm in New York City, and it didn't happen by accident. 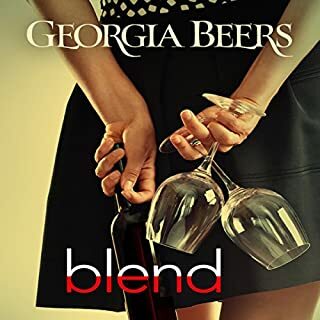 But when the blonde head turner from the wine bistro turns out to be her number one competitor, her life gets infinitely more complex. 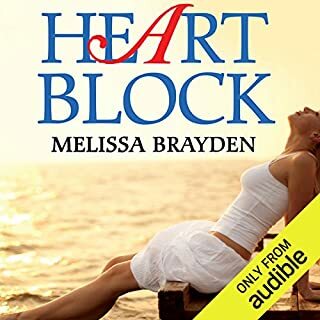 ©2014 Melissa Brayden (P)2014 Audible Inc. I love this book and these characters. they're spunky and cute and super dramatic. on top of that the narrator was absolutely perfect. It feels like these characters were written with this narrator in mind. her voices and tone just took a great book to a whole new and wonderful level. I especially love her teenager voice. I laughed and cried and bit my lip in anticipation. my only off moment was when the name of the bar changed half way through from showroom to showplace. but that was more interesting than anything. Lesbian version of Mad Men!! 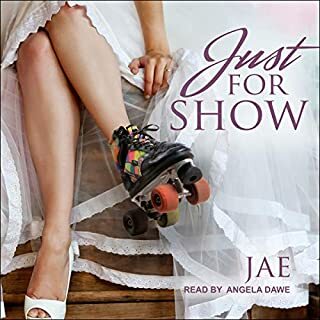 I don't expect too much from these types of romances (let's face it we buy these novels as a way to escape and a to enjoy a quick guilty pleasure), so that's why I was so pleasantly surprised when I listened to this audiobook. 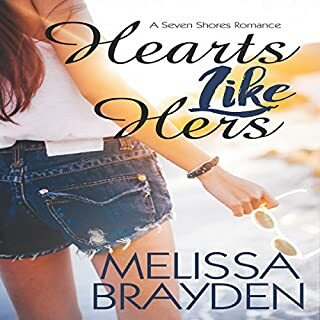 Melissa Brayden has written a charming book with two wonderful, very down to earth characters, Brooklyn & Jessica, they both come across as normal people with virtues and flaws. There's quite a cast of secondary characters, mostly Brooklyn's friends. They've been friends since college and they are partners on a small advertising firm. Jessica is the head of a larger firm, and this brings an interesting dynamic in which our two heroines are competing for the same clients. You can say that this is a lesbian version of Mad Men! Contrary to what happens to many books on this genre, this story seemed pretty plausible to me. The dialogue sounded sensible and normal, and the reactions and emotions of the characters are not at odds with their personalities. And the author was able to achieve this without making the story sound boring or too predictable. 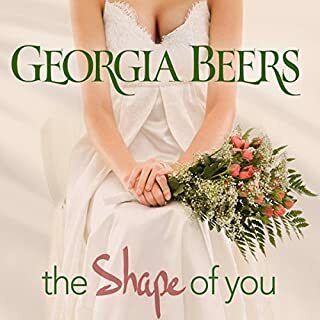 As with any romance novel, the main characters have lots of emotional baggage and issues that need to be resolved before they can start their happily ever after, but the story keeps you involved and overall it's is actually a pretty entertaining, well written book. There are also quite a few very funny scenes, there's a particular one that happens while two of the characters are at Starbucks that was hilarious!! Since the story involves the lives of 4 close friends, I am looking forward to what's next for the rest of the gang!! Well written, the characters were really easy to connect with. You will laugh ,cry and even feel a bit of anxiety. it deals with true fears and loss, and best if all love in its simplest form. All books in the series are worth reading. I love them! oh, and the narration is great. Love it!!! Loved it loved it!!! I truly loved this book could not wait until my listening time each time I got to listen. The story was really well written and the characters are so good. The vulnerability and twists and turns were really well done and it just kept me on my toes the entire 12+ hours. Definitely worth the price and time! I did feel like the accents of the characters were well done and the narration was pretty good too which is very important. When it comes to books, I'm very picky - lesbian romances, especially so. This is a nice read with real characters and real dialogue. 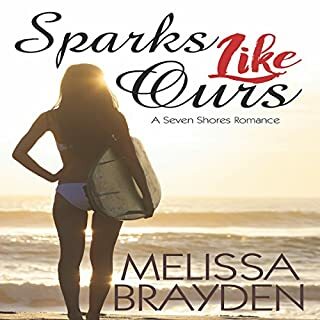 The fact that the author didn't employ stereotypical lesbians as characters was refreshing and a welcome change from the many other lesbian romances I pick up. The story was sweet, emotional, relatable, and held dabs of humor. There were many moments where I'd feel a smile slowly creep on my face. 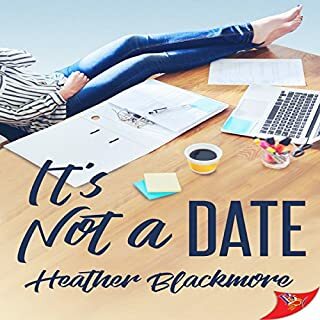 Felicity Munroe does a fair job; there are occasions where she sounds like a robot, but the rest of the time she tells the story well, eliciting emotions and changing her voice (and accent) for each character. 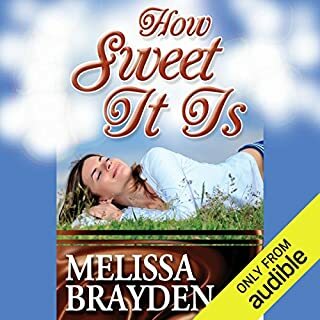 I will be looking forward to Melissa's work in the future, and I'll be keeping this book on my bookshelf. This book was satisfying on two major (and different) levels. As a reader, I fell completely in love with every piece of the story. 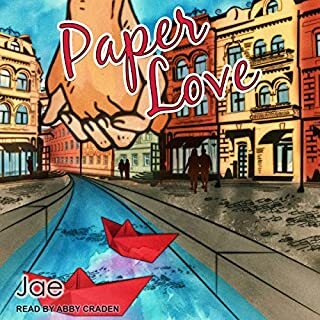 I'm serious - this book has everything my romance-reading heart desires: a wonderful protagonist, a great sense of chemistry with an equally wonderful love interest, a fantastic supporting cast, and enough complications to feel real without going so over-the-top that it feels the world is out to get the main characters. Brooklyn is that wonderful protagonist - she's a fast-driving, idea-birthing, fun and funny woman who is one of four who make up a small (but up and coming) advertising agency. She and her three friends (who all met in college and make up most of that brilliant supporting cast) are up for a new account with a large client, and need to go head-to-head against one of the larger ad firms out there, the Lennox Corporation, who - legend has it - is run by a soulless woman who will stop at nothing to destroy those in her way. Brooklyn's idea, though, has merit. They think they've got a good chance. 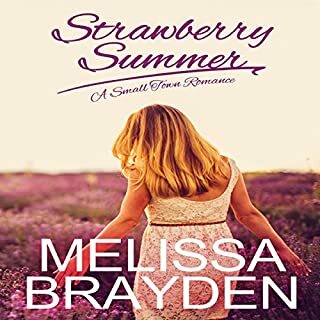 Brooklyn is a believer in chance and luck - and also hard work - so when her day takes a massive dive south, and she ends up stranded without her wallet, her car, and only one unbroken shoe, she's not going to turn down an offer of a glass of wine from a beautiful woman. That glass of wine turns into a dinner, and a brilliant kiss. The thing about chance and luck? It always changes. Until, of course, it's time to make that presentation to the potential client and the woman of the amazing kiss turns out to be Jessica Lennox herself - the head of the Lennox ad company who is also up for the same account. 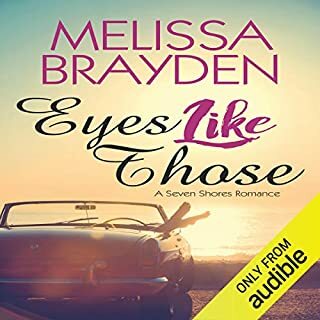 Brayden handles this meet-cute with a fresh take, and throughout the story, the more you learn about Brooklyn and Jessica (and those around them), the more you're rooting for everything to work out for everyone. But is that possible in an adversarial situation? Someone has to win, which means someone has to lose. 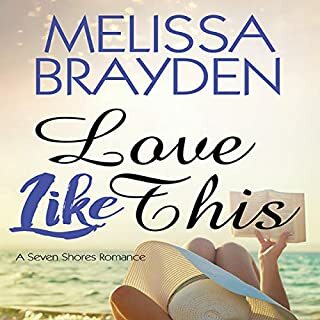 But when you find the perfect kiss - seriously, Brayden writes brilliant kissing - what would you be willing to give up for just one more? Grab this. You won't be sorry you did. 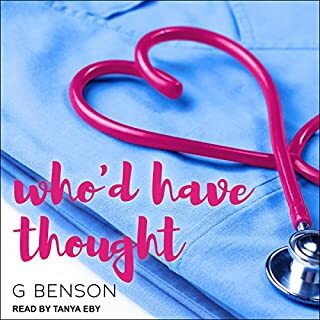 Now, I said this book was satisfying on two levels, and I meant it - as I said up there, the reader in me was totally captivated, I listened to this audiobook in the space of two days and rarely stopped unless I had to, and was itching to turn it back on throughout those down times. The performer, I should mention, was fantastic - a whole range of voices, accents, and nothing sounded forced or awkward. 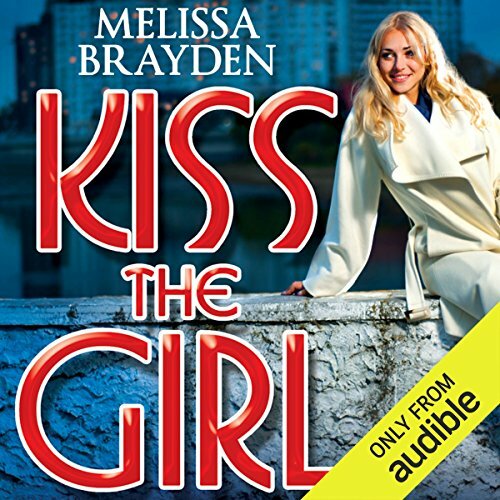 The second level upon which you can enjoy this book is if you're at all a writer - because Kiss the Girl is like a master class in writing romance. I'm serious. Not only did I love the story, I was learning. The romantic tropes were tossed aside in favour of characterization and supporting cast and the issues the characters needed to overcome were organic and unforced. This was not a story where "if only the two characters would sit down and talk to each other, these last three chapters would never have happened!" The characters talk - y'know, the way humans do. There's no crazy individual trying to break up the lovers because, well, they're crazy. No, instead, you've got people watching out for Brooklyn expressing concerns over Jessica's reputation - and even then, those characters do want what's best for Brooklyn. Those supporting characters, by the way, are living, breathing, and fully-fleshed out characters of their own. I know the notion of sequel-bait exists, but these characters rise far beyond sequel-bait. I need their books, don't get me wrong, but I also know them already and enjoy them as characters. They're not a tease, but they did make me want more. The main drama of the book isn't built entirely upon the "will-they-or-won't-they?" of the relationship, either. There are two major sub-plots that are as intriguing as the romance itself - Jessica's neighbour (and her daughter) form one, and Brooklyn's family and history forms the other. I seriously felt like I should be taking notes the entire time I was reading this, but I was having too much fun to do so. 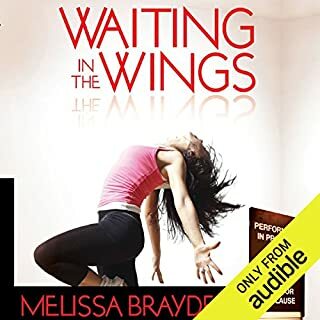 I almost never re-listen to an audiobook, but this is a rare case where I know I will - the second time to pay closer attention to the craft, to see what I can learn. loved it from start to finish. narrator does a great job with the dialogue, kind of funny at times, even. now I wanna live in NYC! I was sorry to finish this book, I really, really enjoyed it! At last, for those of us who identifiy with feminine girls who are into feminine girls this was a wonderful trip! Much praise to the great performance of Felicity Munroe, who managed to find distinctly different voices for the characters which sounded natural and made listening a joy! I also loved the often very amusing dialogue. Some events in the story were rather contrived and unlikely, but I can forgive that given the overall high standard, I'm still giring it a 5 out of 5! My heart ached for them when they were down and cheered them on when they were up. Very relatable characters (minus the view of the Hudson of course). I really enjoyed this story. So much heart and growth. Narrator did an excellent job.